My tot and I took an early morning jaunt to the beach yesterday. He fit right in as there was quite a variety of youngsters around. We counted around 50 Black Skimmers on the beach, with about 5 of them being juveniles. The Skimmers were resting most of the time, but occasionally they would go out for a quick skim. 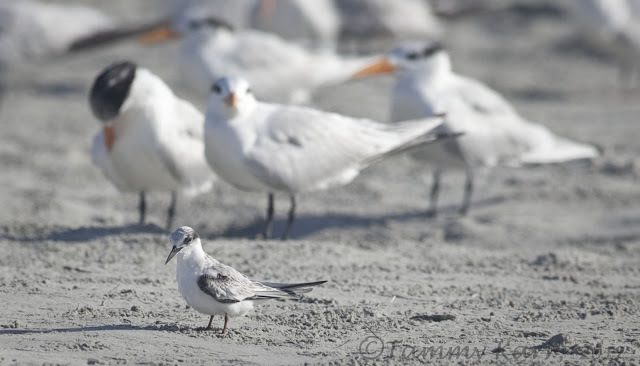 The beach was most heavily populated with terns, including numerous Royals, a handful of Sandwiches, and one Forster's. Several of these juvenile appeared to demonstrate behaviors that parallel those of our young children. This young Royal was definitely making its needs known...."mom, I'm hungry!" This young one had to touch everything it could get its bill on. From this angle, it looked like the tern was attempting to assault the sandpiper. 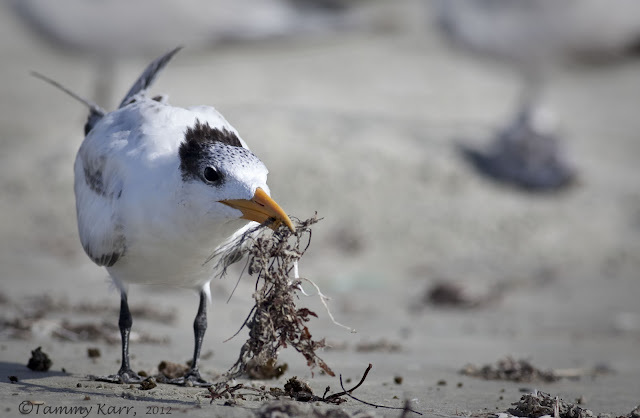 (note~the Sandpiper's identify has been concealed for its own protection). This lone Forster's Tern, which, as you can see, is much smaller than a Royal Tern, just kept to himself. 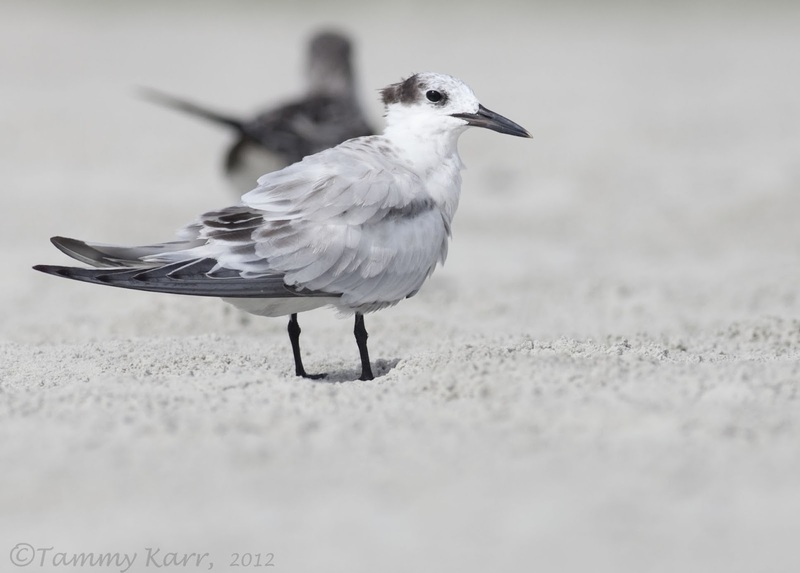 This juvenile Sandwich Tern wasn't up to much. 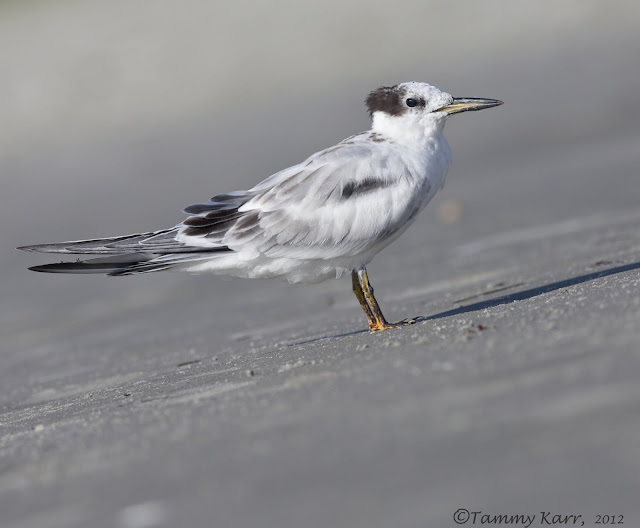 This is also a juvenile Sandwich Tern (I think) but it had some interesting looking legs that were orange and black. And the mini birder finding his own birds. Wonderful shots of the beach babes! 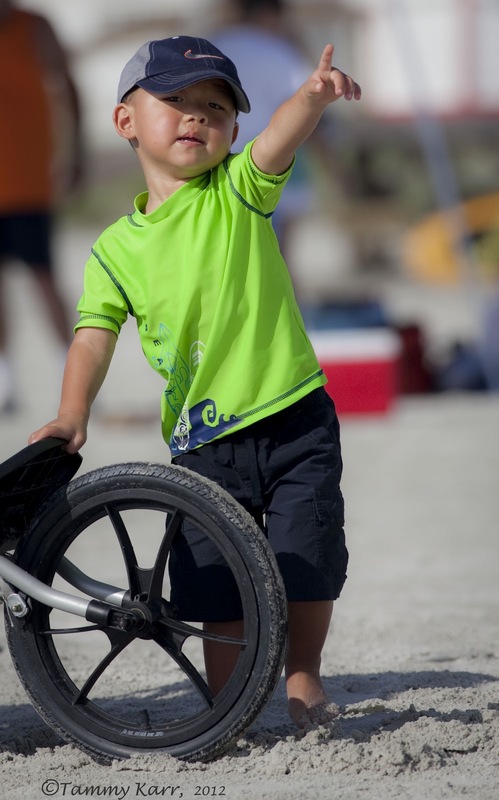 I especially like the one of your mini birder! Have a great day, Tammy. 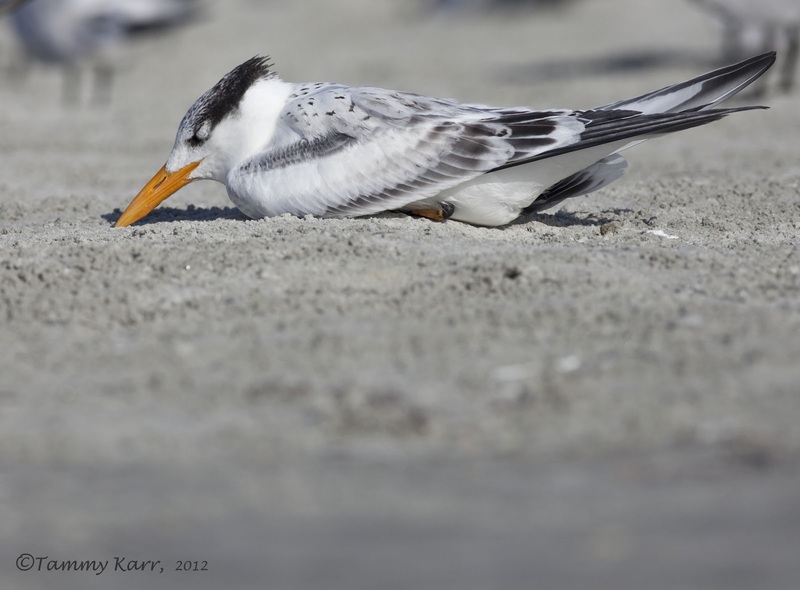 Love the shot if the tern resting, how adorable. Great to know your guy will be a future birder. He is the cutest babe of them all. Tammy, I love your series of the youngins actions. These are all fantastic captures. Your adorable tot is a lover of birds just like his pretty mama. these birds and that little boy are beautiful..... my compliments. Gorgeous birds photo's Tammy You are a great photographer. I love all the young ones (including your mini bird finder! ), super cute... The one with the protected sandpiper cracked me up. Love your photos Tammy, and doesn't that sand look fine! Muy buena entrada como siempre Tammy, la primera foto nunca vi un pico como ese, saludos. Those Royal Tern shots are great! 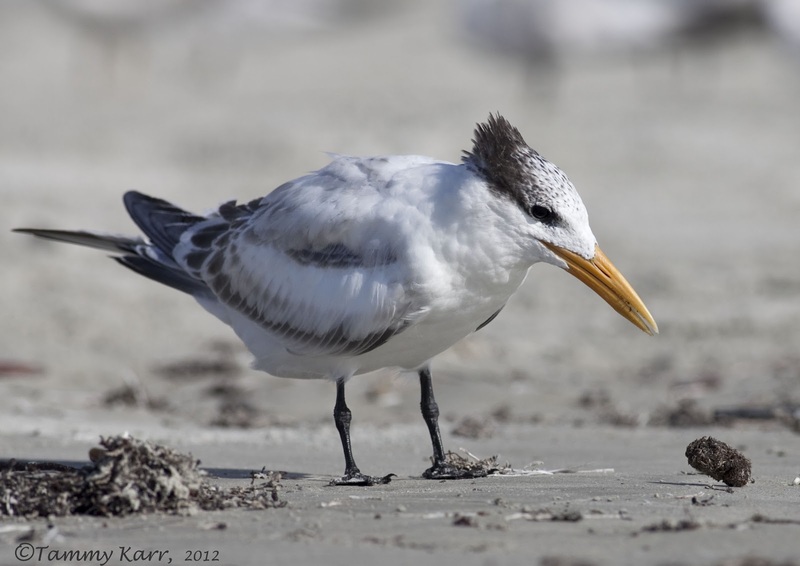 Im looking forward to being reunited with Sandwich Terns as well. The Forster's Tern is actually a young Least (short bill, carpal bar, tiny tiny size). Ha, good call....must have been in the sun too long:) It sure does appear to be a Least; and they breed here, while I don't think Forster's do. Thanks Steve! Sehr schöne Bilder vom Strand. You have made a fine series of pictures here, and a good story that follows them. All great behavior shots! 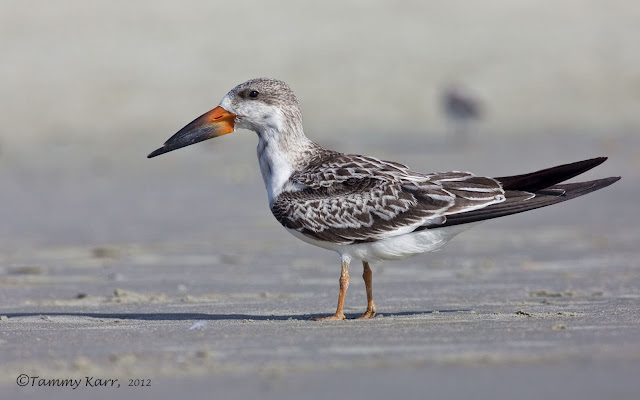 Glad to see the juvenile skimmer. We lost most of ours on this side in the storm. 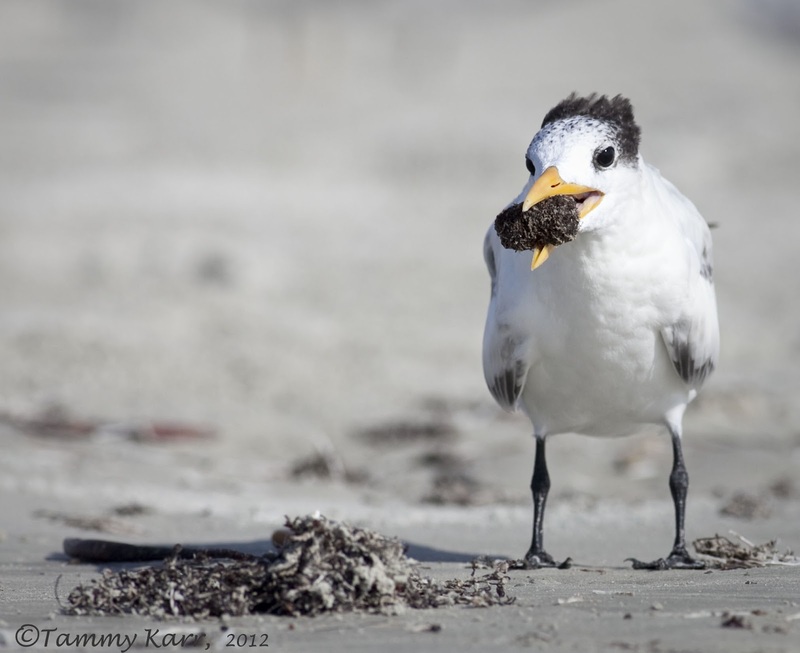 Superb collection of beach going behavioural photographs. 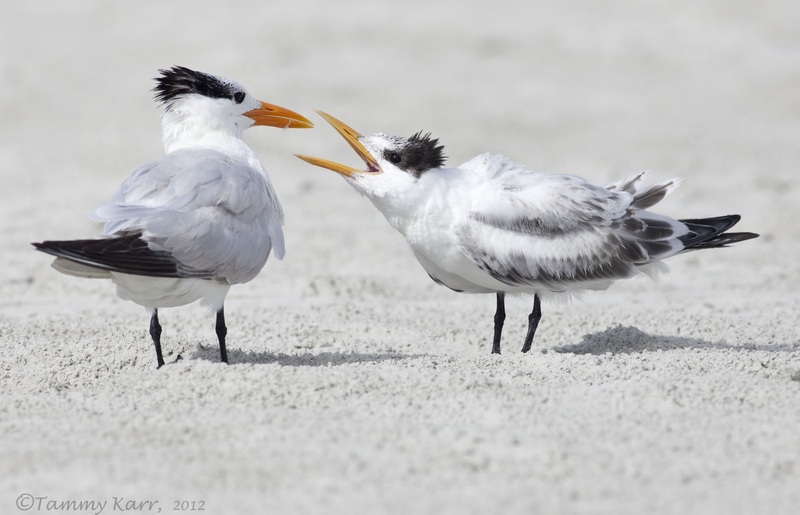 Did the terns make sandcastles too? The top portrait of the skimmer is truly wonderful. Absolutely stunning serie with great text. 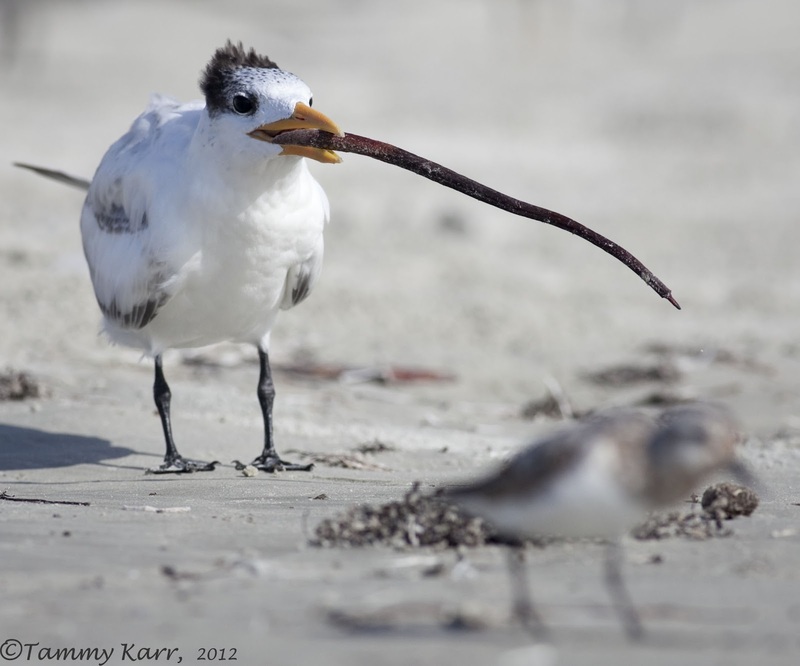 I realy like the tern with the branch. Great shots. It looks like you got really low to get these. Como siempre un trabajo estupendo Tammy. Enhorabuena. Saludos desde Extremadura. Tammy, I love the how you took that last shot down low on his level. A true sign of a pro. We are off to collage to help our granddaughter move in to her dorm. We will miss her soo! gorgeous pictures so as in your newer post! Whish I could live close to the sea side!